Whenever I look at my books, i ask myself if I can really become someone with prefix Atty. before my name. It always puzzles me, whether I was right about what I think I am. Whether or not my dream matches my capability. Or am I just insanely courageous? LOL. Do I really know myself? Or a better question, have I been right about what I think of myself? Have I assessed myself properly? Because if not, I think I am wasting my time sleeping with these heavy hardbounds beside me. These questions are what I constantly have for breakfast. I think that the reason I am panicking at this moment is because I know that failing to assess properly affects how we attain our goals in life. It can also put us to some jeopardy. Ridiculous! Do you agree? I wish I could not. Let me tell you a story. Do you know Mr. McArthur Wheeler? No? The one who epically robbed a bank? Still no? Okay, here’s what happened. In 1995, on broad daylight, he courageously decided to rob two banks with nothing on his face but lemon juice. 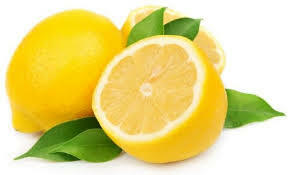 You would ask why lemon juice. Well, lemon juice is used as an invisible ink and only when you expose the sheet to heat, the message appears. Let’s take a moment to give our cheeks a big red flush. What’s the moral? Wear some disguise to escape. LOL. His former teacher could be so proud of him by recalling an elementary lesson. But the problem was that he was not that competent and sane enough to be awarded as one of the best in Science. And neither will the film producers fins his act worthy of a remake in the big screens. Worse, he wasn’t aware that he was incompetent. First, he must have known that his face was not a sheet of paper. And secondly, he must have known that the polaroid camera he used was ready for disposal. Defective. Geez. If lemon juice could make him invisible, maybe, he should have bathed on it instead, so that he could roam around like a ghost. Now that is a million-dollar idea. Seriously, what’s wrong with the world momma!?! Do you know people who possess some kind of high confidence which is somehow questionable? People who think they are competent where in truth and in fact they’re not? That is called Dunning-Kruger Effect my brothers and sisters, which basis was the Lemon Juice Incident, I mean, the Wheeler Incident. You might even say that I’m experiencing the same by trying to blog here. LOL. It’s okay. I learn everyday and this is not a crime. Meow. Okay, going back, Wheeler went on without looking into the effectiveness of his idea because he was so sure. Why? He had overestimated his capability. He thought it was such a relief that he could do away with the disgusting stockings and all. I could imagine him entering the bank like a pro and getting home afterwards with a big smile on his face and, of course, dried lemon juice. I am sure, he would have thought of doing it again. We wete friends since we were kids, you know. Kidding. Unfortunately, his celebration ended too soon when he realized that he was wrong. Well, maybe not for doing a crime, but for trusting the lemon. You might be thinking that this is contrary to what I always say— that you can do things. This is not to tell you that you are not good. It’s just that we can’t be good at everything and we must know which is which. I myself didn’t take engineering because I know that my brain stops whenever I see lots and lots of numbers. I am not degrading anyone for being incompetent. My point is that we should know ourselves. While it is good having confidence, let’s be real guys. We can make bad choices without actually knowing how bad they are in the first place, like a cat approaching a vulture or an inexperienced person running for President. Since we do not know what is wrong, it follows that we also do not know what to change or improve at, or avoid. Let’s take some time reflecting. And maybe that can save us from some Wheeler-like experience. As the saying goes, Jack-of-all-trades; master of none. And for Wheeler, I feel sorry for him. But too bad, he can’t blame the lemon.